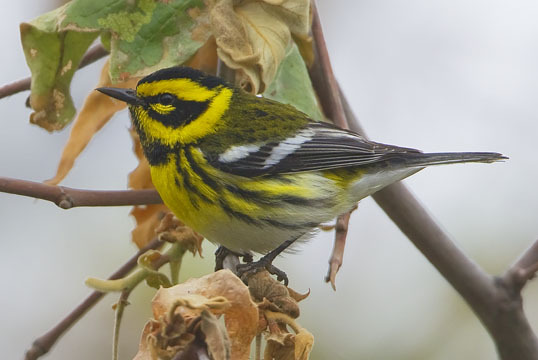 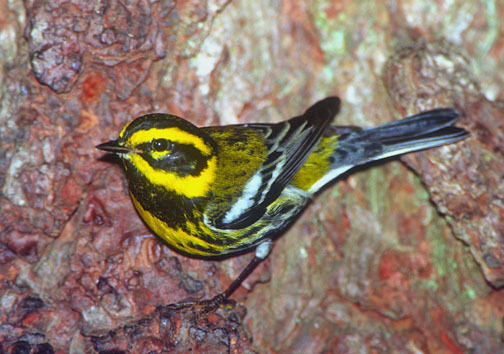 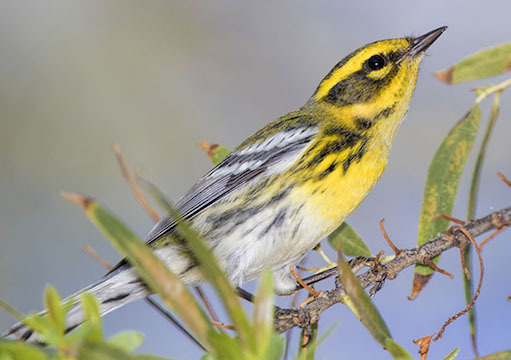 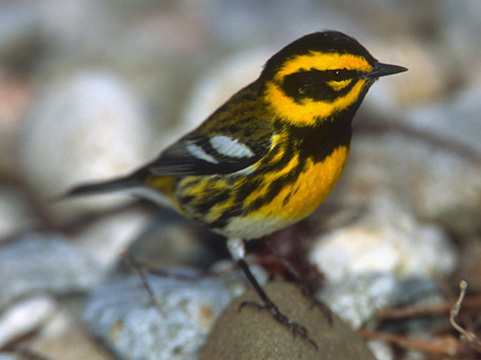 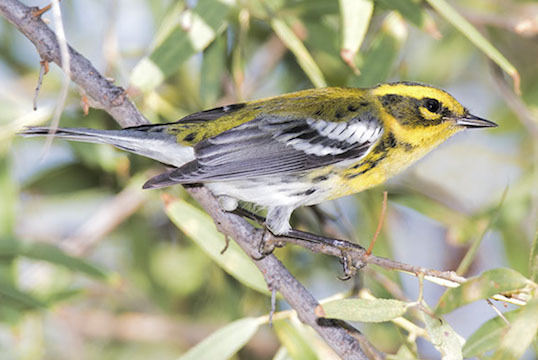 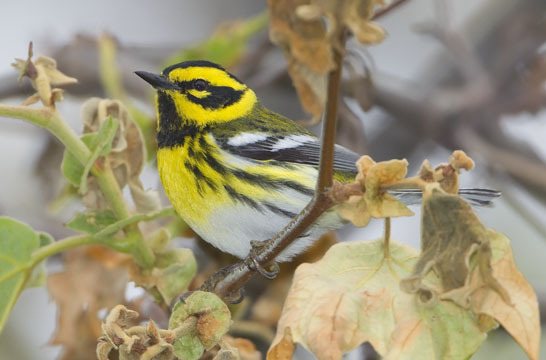 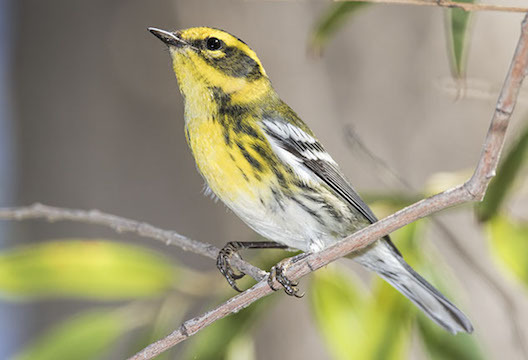 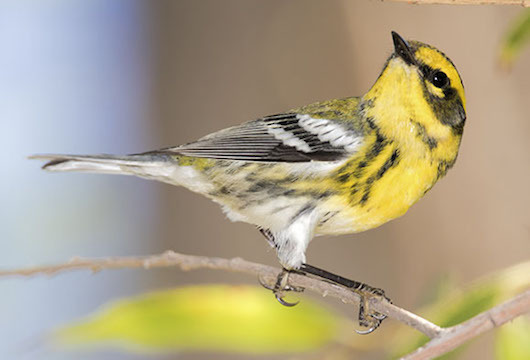 Townsend's warbler is a colorful breeder in the Pacific Northwest, and a fairly common winter resident in coastal California. 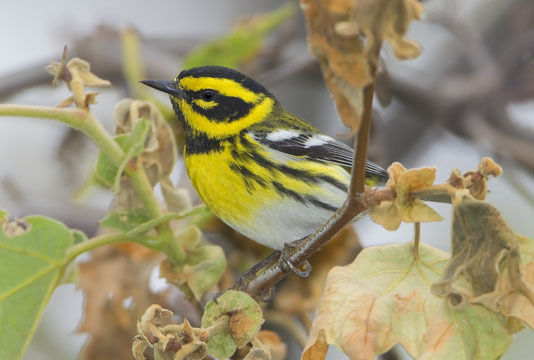 Most of these images are of migrant male photographed near Riverside, California -- bright birds in spring, duller ones on fall migration. 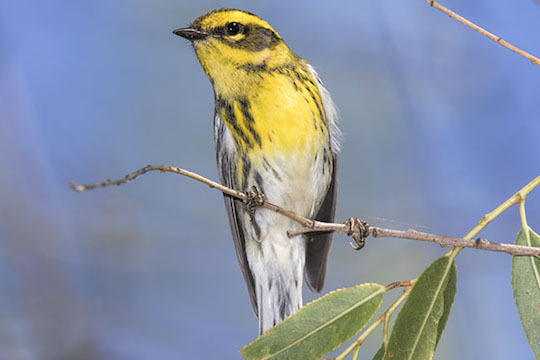 I photographed the other males (click here to see pictures of the less flamboyant females) near the Monterey Peninsula, one as it fed on the trunk of a pine tree; the other as it foraged on the lagoon beach at the mouth of the Big Sur River, in Andrew Molera State Park. 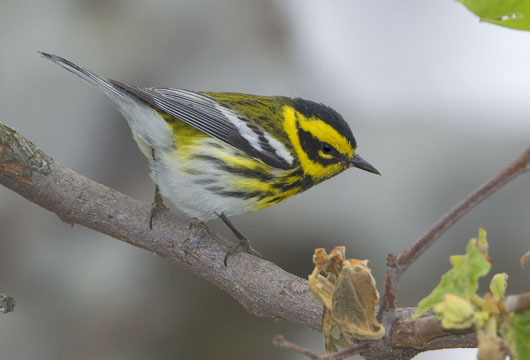 Photos of a particularly cooperative male are on this page.